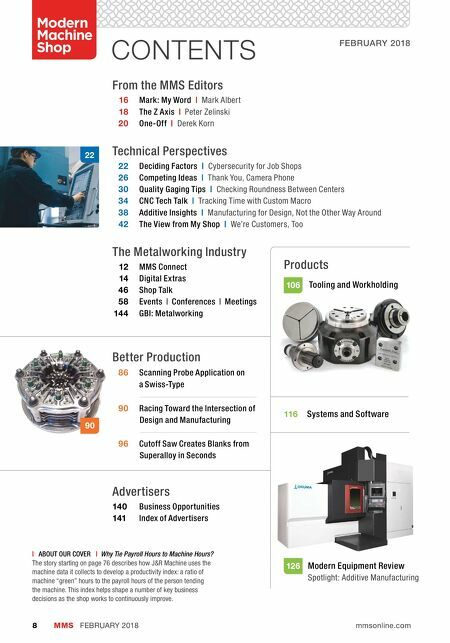 CNC Systems | Digital Servo Motor rives | Feedback Systems | DRO Systems | Motion Control Systems We Made It 1-2-3-4 EASY! 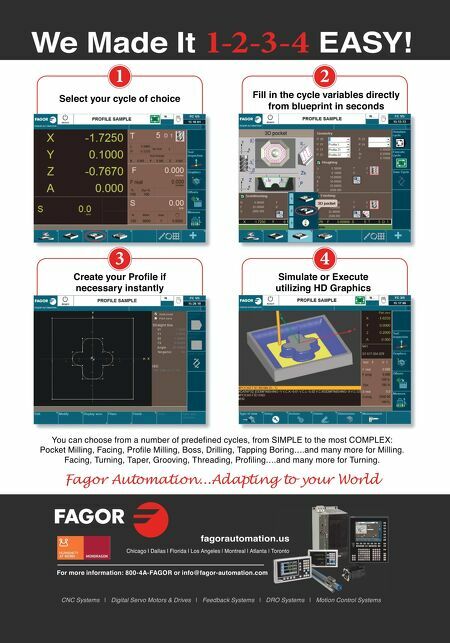 For more information: 800-4A-FAGOR or info@fagor-automation.com Chicago | Dallas | Florida | Los Angeles | Montreal | Atlanta | Toronto Fagor Automation...Adapting to your World fagorautomation.us Select your cycle of choice Fill in the cycle variables directly from blueprint in seconds Create your Profi le if necessary instantly Simulate or Execute utilizing HD Graphics 1 3 4 2 You can choose from a number of predefi ned cycles, from SIMPLE to the most COMPLEX: Pocket Milling, Facing, Profi le Milling, Boss, Drilling, Tapping Boring….and many more for Milling. Facing, Turning, Taper, Grooving, Threading, Profi ling….and many more for Turning.